Upon your arrival to the spa, make sure to check-in at least 10 minutes before treatment to ensure there is enough time for preparation. 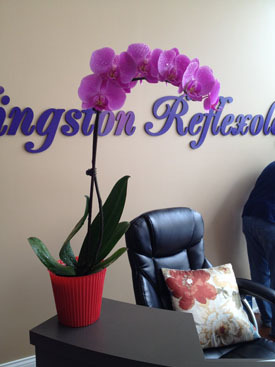 We would like to ensure that your treatment begins on time for the courtesy of all of our guests. We hold the right to refuse treatment to those that are under the influence of alcohol or other substances. If you’ve arrived late for your treatment, we promise to accommodate your full appointment only if possible. Arriving late for an appointment will shorten your treatment time in order to accommodate the next guest. We take payment info for party of 3 or more guests and Acupuncture service. Appointment have to be canceled 24 hours ahead or we charge 50%, and we charge 100% for no show. We accept cash, MasterCard, Visa. You may pay gratuities to massage therapists or clinician in cash, directly. If you have to leave it in credit card, there is $2.00 flat fee will be applied. For courtesy purposes, please make sure to turn off all cell phones and pagers and to speak quietly at all times so as not to disturb other guests.